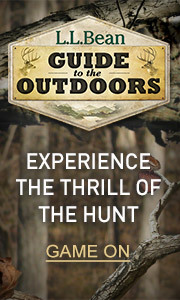 Industry-Leading Hunting Gear From L.L.Bean, with Free Shipping with $50 purchase. Leon Leonwood Bean founded this company with boots specially made for hunting. Ever since, L.L.Bean has been making industry-leading hunting equipment and clothing. With more than a century of rich heritage, you can count on our expert design team for blinds, camo, decoys and everything else you need for turkey, big game, upland hunting and more. All of our hunting gear and apparel is built to last and backed by our legendary 100% satisfaction guarantee, and you can count on us for free shipping, too.